The Western Front extended from the North Sea to the Swiss border—about 440 miles. It was held with little change for 4 years by armies from UK (including Canada, Australia, India, Newfoundland*, New Zealand, South Africa, Southern Rhodesia), France (and the French colonial empire), Italy, Belgium, Portugal, Russia and others. Opposing them were the German and the Austria-Hungarian Empires with their respective colonial supporters. The Canadians were sent to various locations along this line where they fought beside any number of men from other countries. Battles along the line were periodic but much day to day attention was paid to raids, sniping and mining under the front lines. The rest of the time was one of tedium and discomfort. Other front lines were similarly held in various parts of the world. Canada was not in the war on its own. War diaries are amazing. They were written by every level of the Army from Battalion upward and are a day by day, sometimes hour by hour, account of what was happening. 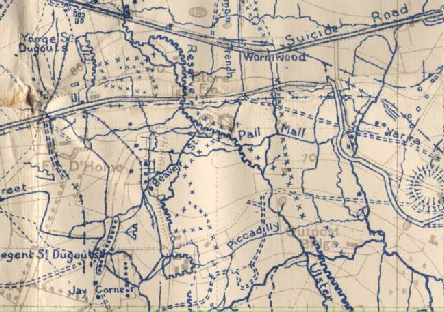 Also included are the orders and notices for the day, sketched maps, drawings of terrain or trenches, hand written orders and comments directly from the battlefield. 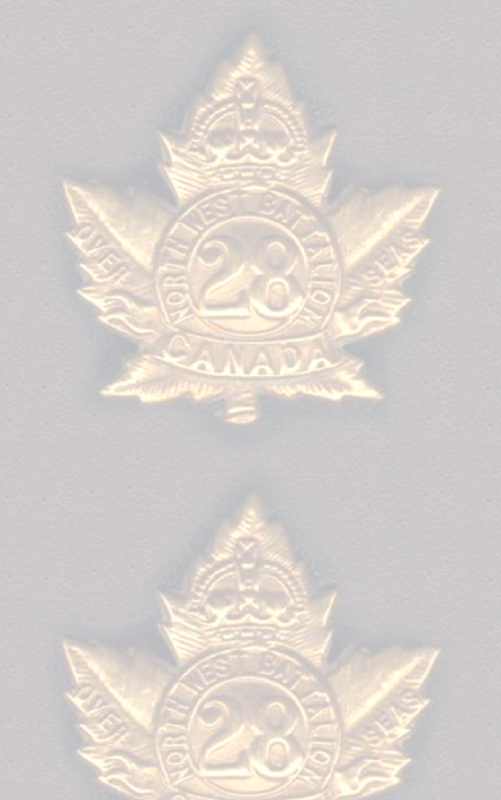 They are available in Canadian Archives, many on line. As such, they are primary sources for this research. A full list is available under the reference tab. Please note that dates in these diaries are day/month/year as was the convention at the time. Maps: Armies work from maps. Many of these survive in the Canadian and British archives and it is possible in several of the battles in this diary to follow WLH down to the specific trench in which he was located on a given day and then to see him move to the next—almost like an animated film. The Canadian Government made the decision at the outset of the war, to provide Divisions of troops and officers, as quickly as they could be recruited, to serve under the overall direction of the British Army. It also decided that it did not want its troops to be absorbed into the British Army and insisted that they remain as Canadian Divisions. Thus we are able to follow the success and tragedy of Canada's contribution to this conflict. What follows is a small record of the battles and challenges in which WLH took an active part during four years of the war he spent in France. Wherever possible, references to the on-line source will be with the text so that viewers who wish to have more detail on the subject may use the link for further information.